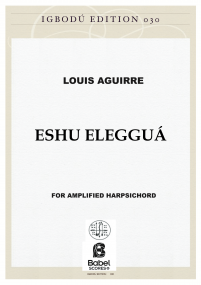 A composer largely commissioned, the music of Louis Aguirre has been performed internationally by ensembles and soloist such as: the Axyz Ensemble, Residencias Ensemble, Arditti String Quartet, Mikrokosmos Ensemble, Black Pencil Ensemble,Trio Arbós, Kimbala Percussion Group, Neo Percusión Trío, Santiago, Camagüey and Havana Symphony Orchestras, Duo Verso, Ere Lievonen, Enric Monfort, Adam Ørvad, Susanna Borsch, Mina Fred, Vesselin Parachkevov, Juanjo Guillem, Carlos Gálvez, etc. His work, praised for its outstanding originality and power, has been played in festivals such as: Amsterdam Gaudeamus Week, Holland: Festival Internacional de Alicante, Spain: Forum de Nueva Música, DF, Mexico: Festival International de Música Contemporánea de Lima, Perú: Festival Internacional de Música de Lucena, Córdoba, Spain: Århus International Guitar Festival, Denmark: Festival Internacional de Musica de Morelia, México: Festival de Música Contemporánea de Segovia, Spain: Tallin Music Days, Estonia: Festival Internacional Carmelo Bernaola, Spain: SUSÅ Contemporary Music Festival, Denmark: Granada Festival Internacional de Música y Danza, Spain: Liubliana Festival, Slovenia: Summatónar, Faroe Islands: Internationale Ferienkurse für neue musik, Darmstadt, Germany, etc. Born in Cuba in 1968, Louis Aguirre received in 1991 a B.A. in composition from Havana Superior Institute of Arts, after studying composition with Harold Gramatges and Roberto Valera. He also studied violin and conducting at this same Institute. From 2002-04 he was enrolled at the Amsterdam Conservatory, studying the composition postgraduate program: "Contemporary music through non-Western Techniques" under the guidance of composer R. Reina. From 2004-05 he was enrolled at the Royal Conservatory of Århus in Denmark, taking a Diplom-exam (Master) in composition under the guidance of composers Karl Aage Rasmussen and Rolf Wallin. 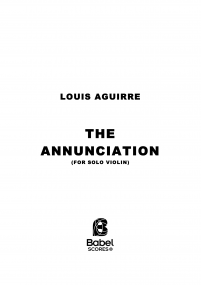 In 2007 Aguirre ended with the highest mark his Soloist Class (3er cycle, post master) in Composition at the Århus Royal Conservatory, under the guidance of professors Karl Aage Rasmussen and Hans Abrahamsen. 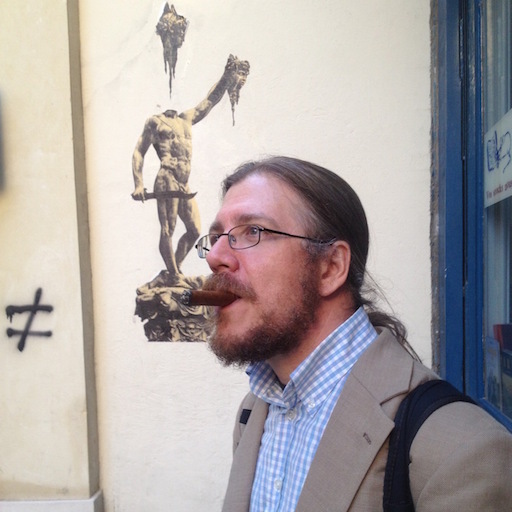 chairman of the International Festival of Contemporary Music (1996-2002) in Camagüey. Aguirre has been the recipient of numerous grants and awards.